David Letterman is out of retirement, and has returned to television with a six-episode, 60-minute Netflix talk show series, My Next Guest Needs No Introduction with David Letterman. 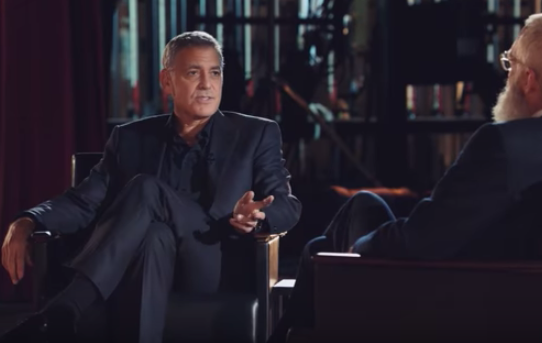 Dave’s guest this month is George Clooney. President Barack Obama was Letterman’s first guest on January 12. The interview was Obama’s first television talk show appearance since leaving office. Produced by RadicalMedia and Letterman’s Worldwide Pants, Incorporated, for Netflix, each 60-minute episode of My Next Guest is centred around one extraordinary figure whom Dave finds fascinating. In interviews that take place both inside and outside a studio setting, the conversations are intimate, in-depth and far-reaching, with the levity and humour Dave’s fans know and love.